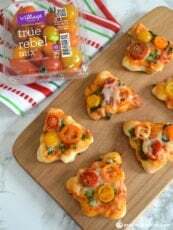 This fun Christmas tree fruit platter can’t help but bring a smile to your littles ones faces! 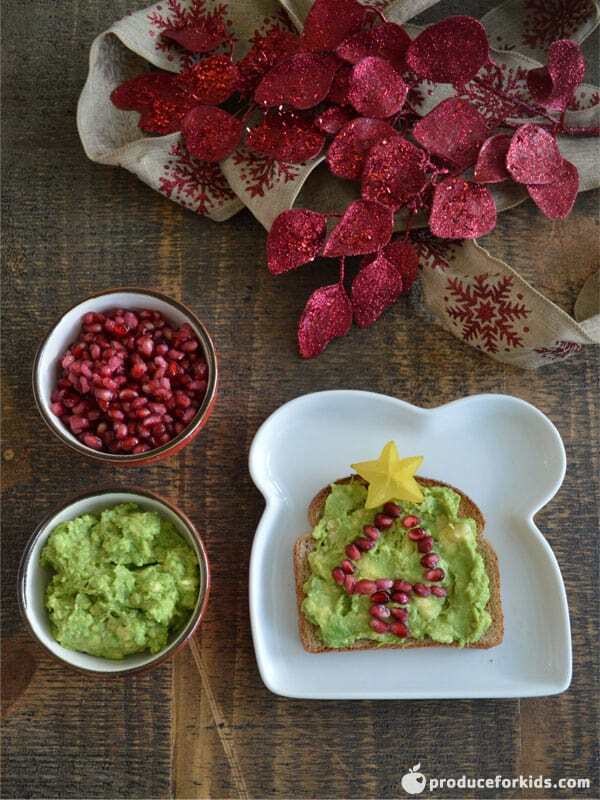 Not only will it brighten up your holiday spread, it’s easy to make and delicious to eat! Don’t have pomegranate arils or blueberries on hand? No problem! 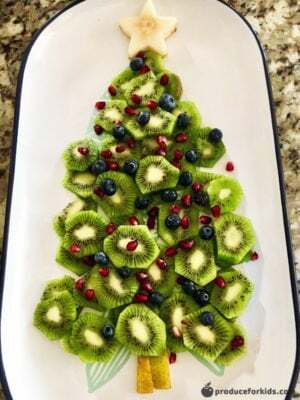 Use dried fruit, nuts or other fruit to decorate your kiwi tree. 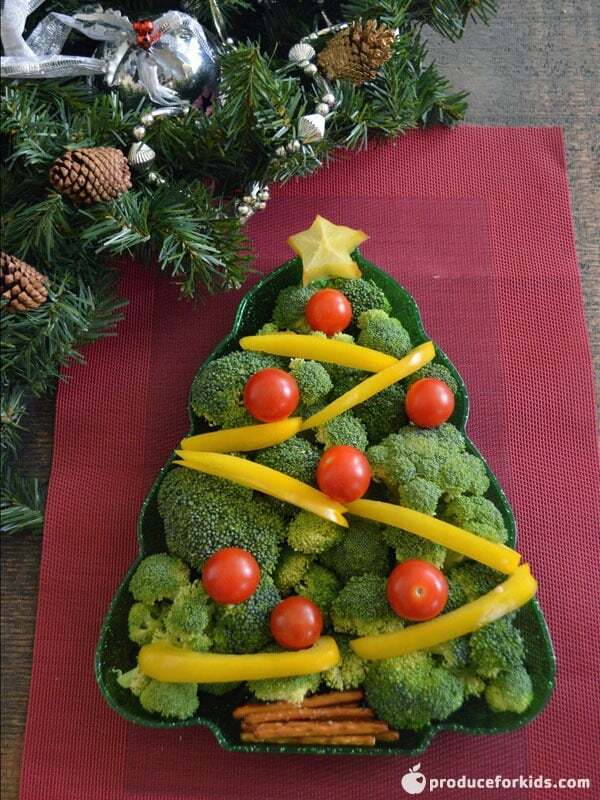 Arrange kiwi on plate in shape of Christmas tree. Sprinkle with pomegranate arils and blueberries. Place pear slice on cutting board. Use small star cookie cutter to cut out star. Place on top of tree. Use remaining pear slice to create tree trunk.